Don’t be fooled by the tiny package because the Moxi Now 600 is packed with enough technology to deliver high performance, excellent functionality and discretion to help you hear your best, even in noisy environments. The versatile Moxi Now 600 adjusts automatically to different environments allowing you to go from home to a night out seamlessly, while still hearing clearly. Its smooth, nearly invisible design can be happily worn all day long while maintaining a comfortable and easy listening experience. In addition to the 600, the Moxi Now is available in 3 additional technology levels – Pro, 800 and 700 – to help match automatic performance to your lifestyle and budget. It joins the Moxi Kiss, Moxi Fit and Moxi Dura on the Unitron North platform designed to help the listening experience with advanced algorithms and extra sound processing power. 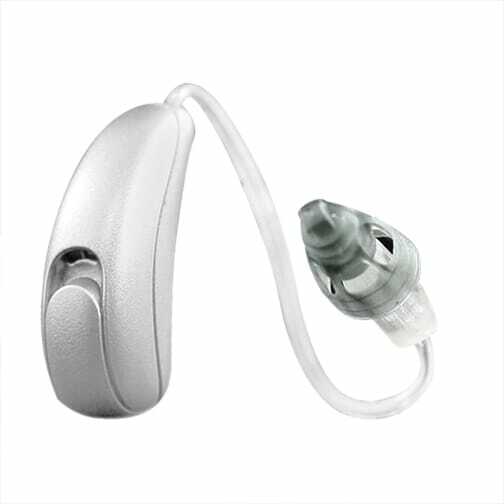 Each Unitron North hearing aid combines the strength of 3 innovative technologies – SoundNav, Sound Conductor and SpeechZone 2 to deliver crystal clear natural sound and comfort.